Plans are very detailed with all measurements including thicknesses, grain directions and profiles. 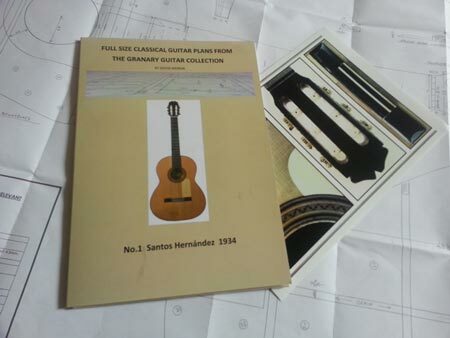 There is a list of materials and other relevant information for each instrument. The plans are A0 size on 120gsm quality paper and are presented in a glossy folder along with detailed photos of the rosette, head and bridge. All postage is signed for Royal Mail. Please contact David Merrin for costs to purchase more than one plan at a time. The first in this series is the 1934 SANTOS HERNANDEZ. The second guitar to be drafted is the 1934 DOMINGO ESTESO. 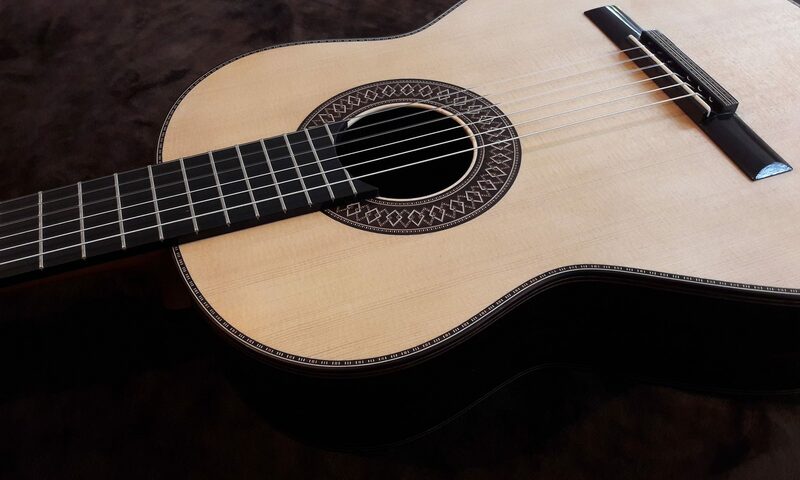 All guitars can be heard on the Sound Of Spain CD.